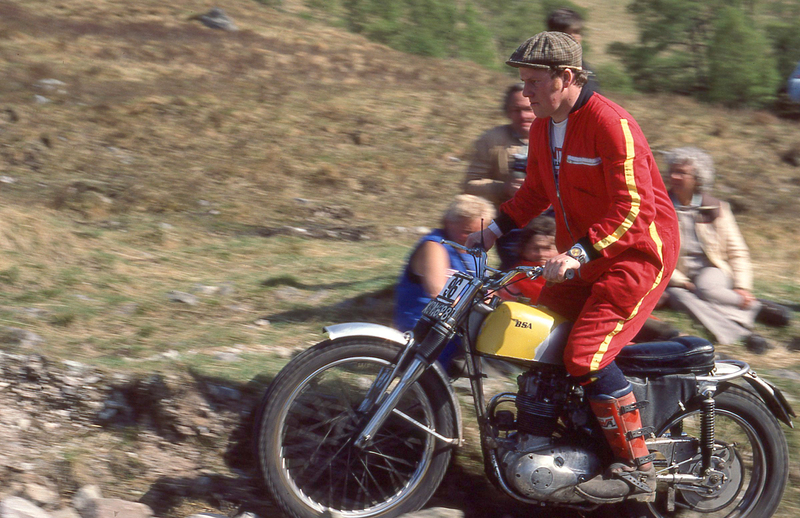 Martin Lampkin Trials Icon Passes away. When I was a kid I loved many Motorcycles, Obviously the TT bikes, any Road Racing, Drag bikes, but what we called Dirt bikes were a huge impact on my life, I loved trials riding but only has a little SL125 but could do unreal things on that only because I had the passion, will and determination to accomplish anything if it was up a hill, through some tree’s or through some rocks. Sad to hear that Martin has passed away, my brother informed me this morning, only seems like yesterday i was using Blu-Tak to stick a poster of him up on my bedroom wall, much to my mum and dad”s annoyance. Mick Andrews ( TY250) Martin Lampkin (Bultaco), Sammy Miller ( CZ), Rob Edwards ( Montesa), Jim Sandiford (Montesa). God Bless you mate, plenty of wide area’s to ride now ya upstairs Martin. All great guys with skills I would never come close to ever even if I practiced 24 hours a day. Martin and later on his Son Dougie really did dominate the trials world and as a teenager, I had Posters of these at home. 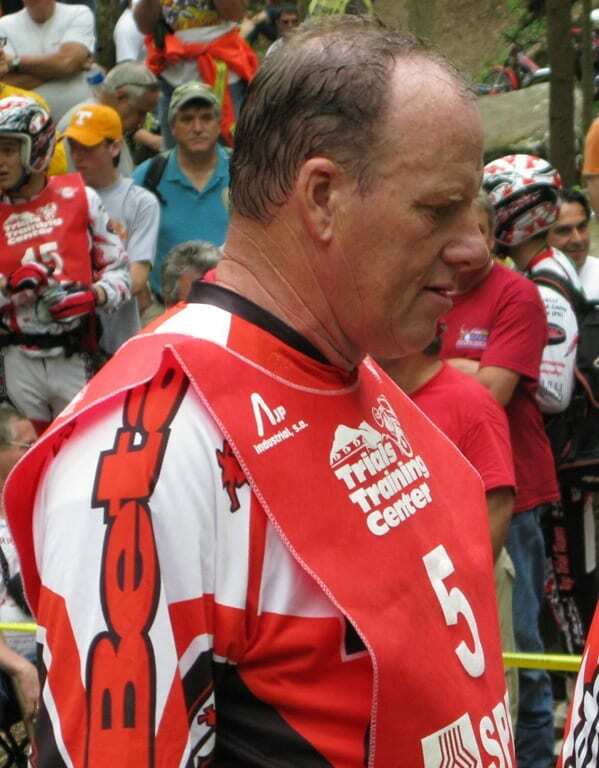 His family has stated via Trials Central:”It is with deep regret that we inform you of the sad passing of Harold Martin Lampkin, better known as Martin Lampkin, who lost his cruel year-long plus battle with cancer earlier today at the age of sixty-five. “As the first ever FIM Trial World Champion back in 1975, Martin who continued right through to the present day to be a recognised and much loved figure within the motorcycle community the World over, passed away peacefully surrounded by his immediate family near to his hometown of Silsden, Yorkshire. “Our thoughts and condolences are with his wife Isobel, his sons Dougie and Harry and other members of the Lampkin family, plus all his many friends motorcycling and otherwise at this sad time. “Funeral details will be confirmed in due course. 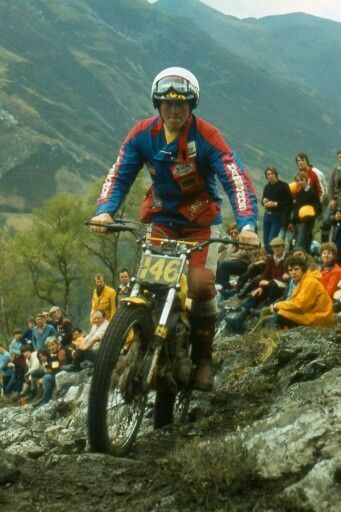 Martin Lampkin was born 28 December 1950. He competed in a variety of off-road motorcycle events, but specialized in observed trials competitions, winning the inaugural FIM Trial World Championship held in 1975. My heroes of the trials era were a Family named Lampkin. He was the third son in a Silsden motorcycling dynasty and began riding motorcycles at an early age. His older brothers Arthur and Alan Lampkin were successful motorcycle racers and became members of the BSA factory racing team in the 1960s. In the early 1970s, Lampkin established himself as one of the top competitors in motorcycle trials, gaining the attention of Francisco Bultó, the owner of the Bultaco motorcycle company. 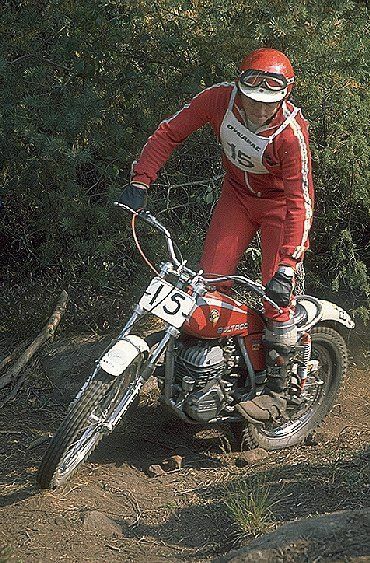 Bultó offered him a job as a member of the Bultaco factory trials team and, in 1973 he won the European trials championship as well as the British trials national championship. The European championship was considered to be the world championship at the time, as the sport of trials had yet to develop outside of Europe. In 1975, the European championship was upgraded to world championship status and Lampkin claimed the title to become the first-ever trials world champion. He continued to experience success in the world championships until 1980, when the Bultaco factory began to experience financial troubles. Lampkin then joined the SWM factory team until he retired from professional competition in 1982. Besides his European and World Championship titles, Lampkin was also a four-time winner of the Scott Trial (1977, 1978, 1981, 1982), a three-time winner of the British trials national championship (1973, 1978, 1980) and won the grueling Scottish Six Days Trial three consecutive times (1976, 1977, 1978). After retiring from competition he supported his son Dougie in his successful career. This entry was posted in Blog and tagged FIM, gas gas, Greeves, ISDT, Mick Andrews, Montesa, motorcycle news, ossa, Persang, Rob Edwards, sammy miller, sherpaT, trials, trials guru' Bultaco, ty250, yamaha.